Contact us for emergancy water backup solutions for Cape Town. HYDREX® IS AN INFRASTRUCTURE DEVELOPMENT COMPANY, WITH A STRONG FOCUS ON WATER, SEWAGE AND THE PETROCHEMICAL INDUSTRY. WE OFFER TURNKEY SOLUTIONS TO OUR CLIENTS, COVERING ALL ASPECTS FROM DESIGN THROUGH TO IMPLEMENTATION AND OPERATION. We offer turnkey solutions to our clients, covering all aspects from design through to implementation and operation. Our target market is predominantly the African continent, with agriculture, mining, and the infra structure development of rural areas being the core of our business. We manufacture a wide range of products that are used in the implementing of sound solutions to our clients. It is with the farming community that Hydrex® has its roots. Our product range to the farming and aqua culture community has grown considerably. We supply a wide range of reservoirs . . . Contact us for your petrochemical storage, filtration, pipe work, transport and dispensing systems. Hydrex® has a variety of products suitable for petroleum and chemical products. Alternative energy sources are critical for the future of Africa as a whole. Hydrex® is proud to announce that we are currently installing our first bio gas plant in conjunction with Enviroserve. Hydrex® offers a variety of products to the emergency aid industry. These rapid deployment products that are used for emergency water supplies, treatment, distribution and sanitation. . . . Alternative power solutions including the use of smart Hydro technology has become a logical extension to the Hydrex® products and service range. . . . .
Hydrex® household products include roto moulded tanks, vinyl lined swimming pools, general purpose water pumps and accessories. . . . The Hydrex® industrial product range specialises is tailor made industrial solutions combining our design, structural, process and other segments. The Hydrex® mining division has recently expanded to include open cast operations. Specialist water treatment, infrastructure, pollution control dams and related services. . . I would like to take this opportunity to say that the quality of service offered by Hydrex since our first contact over a six years ago has been highly impressive. Every aspect of your service has been beyond reproach and every member of staff has been courteous, polite and reliable. Hydrex has provided MX Mining capital service with a range of mining infrastructure solutions tailor made to our clients requirements. The attention to detail has always been of the highest level. Hydrex has given us many years of exceptional service and are come highly recommended. Hydrex has proven to be a reliable partner in the supply of diesel solutions for our power generation systems. Their attention to detail and commitment to get the job done make them a reliable partner for the Sync systems team. 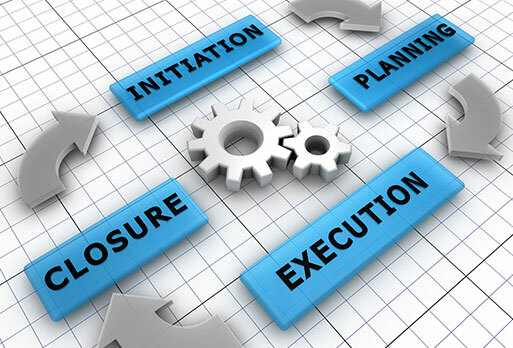 Hydrex®has a keen eye on project initiation and planning. Our competent team of planners and engineers are waiting and ready to assist you in your next project. With a wide African foot print, Hydrex® is your ideal project partner. Our planning, attention to detail and experience will ensure the smooth execution of your project. Proper handing over and documentation is as important as the construction and execution of your project. At Hyrdex we work with a number of esteemed partners to collaborate on industry leading solutions.